Omaha Racing is one of the top performing daily racing advisory services operating the umbrella of the Tipstrr portfolio and is tipster is relatively new on the scene. Omaha Racing has however, already made an impact by claiming the Tipster of the month on several occasions with Tipstrr. His tips are sent out each evening around 5pm for the following days racing. each of them will come accompanied with full reasoning behind the selection and a recommended stake. Win and each way bets are advised. And that is pretty much all I know about the service, but thankfully this is Geegeez, not X Factor and we're more interested in performance rather than a compelling back story! From the above, I deduce an average stake of 6.75pts per bet, so for convenience, we'll use a £2 per point stake for our review. This might mean that the end profits are slightly higher than using our normal £10 staking policy, but it's the ROI that we're really interested in anyway. 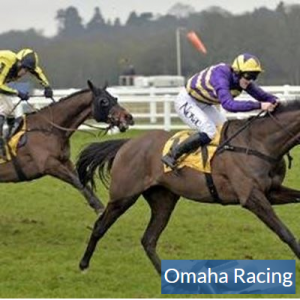 The Omaha Racing selections are uploaded to the members' website in the evening ahead of the following days racing, along with advised BOG odds and which firm(s) offer that price. The selections are also emailed out to Omaha Racing members that evening, which should hopefully allow everyone to secure the best prices. Geegeez will now follow the fortunes of Omaha Racing for an initial period of 60 betting days, using a bet base of 1pts = £2, declaring our results daily at advised BOG odds, once we've verified their availability of course! All bets are £2/pt stakes unless stated otherwise. So if you had taken the most popular option (2 months @ £22) you would be out of pocket by -£11.49. So it's a thumbs down from me! !